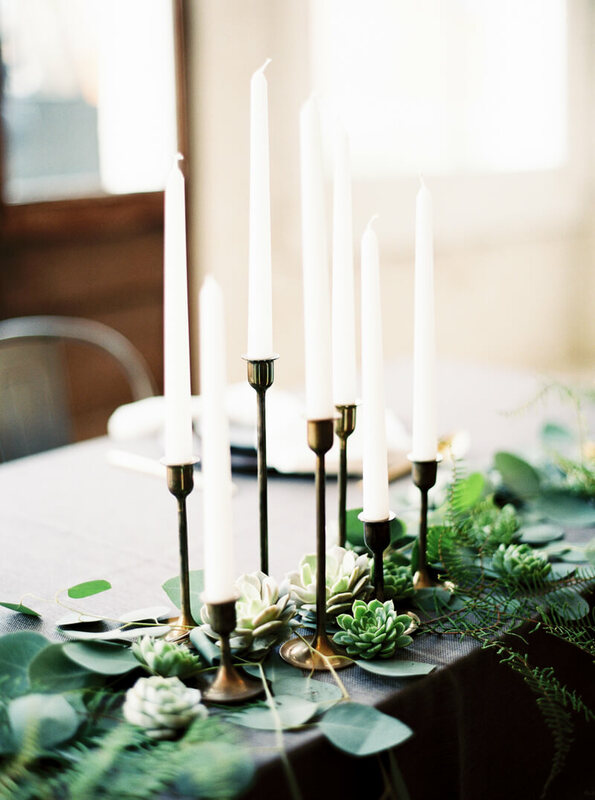 One Eleven East Wedding - Austin, Texas. 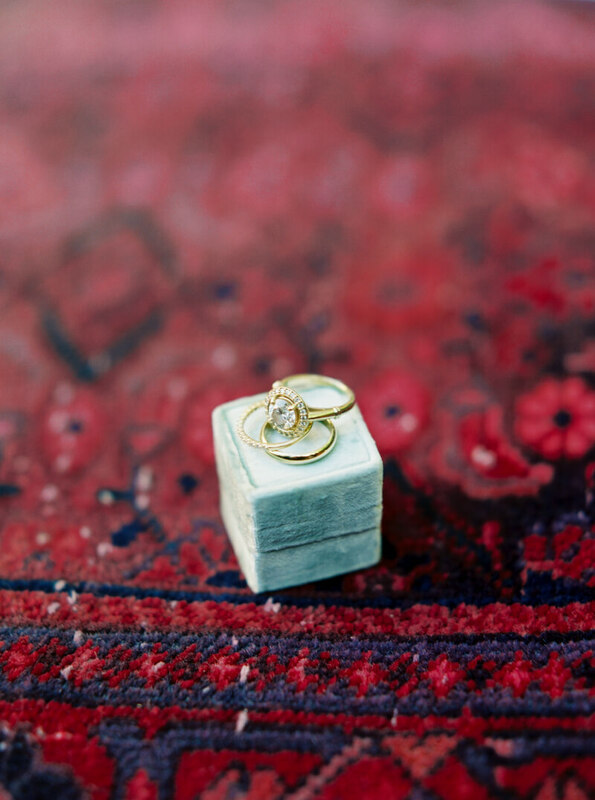 Ellen and Parker's modern and romantic fall wedding took place at One Eleven East in Austin, Texas. 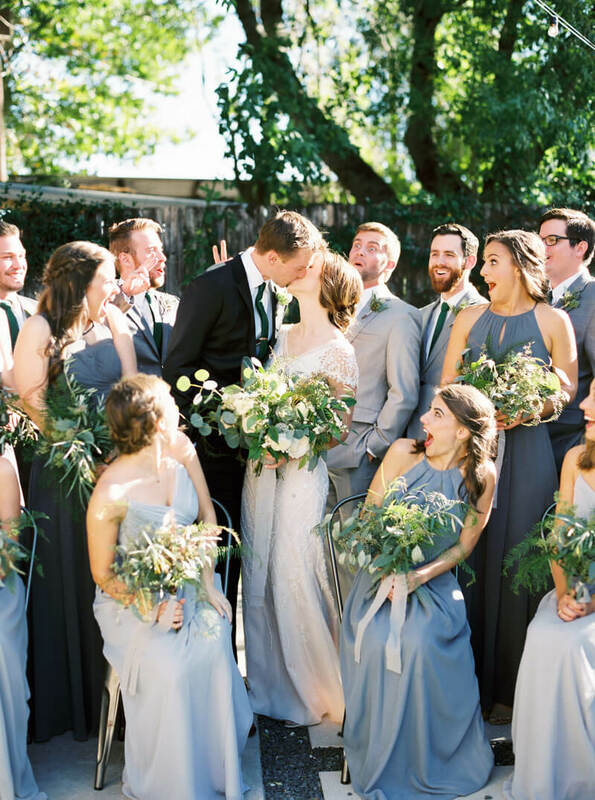 One Eleven East featured the intimate ambiance and blank slate the couple desired, allowing them to personalize their day with notes of gray, green and gold - and fun Texas touches. Ellen chose a lace gown with cap sleeves for her wedding day, and accessorized with gorgeous beaded open-toed heels. 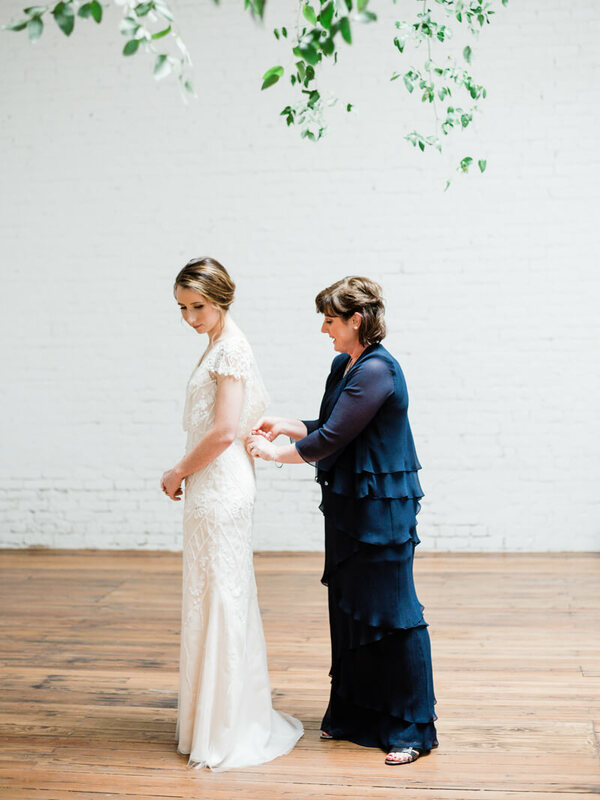 The mother of the bride helped her slip into her gown. And she completed her wedding day look with a soft makeup palette and classic updo. 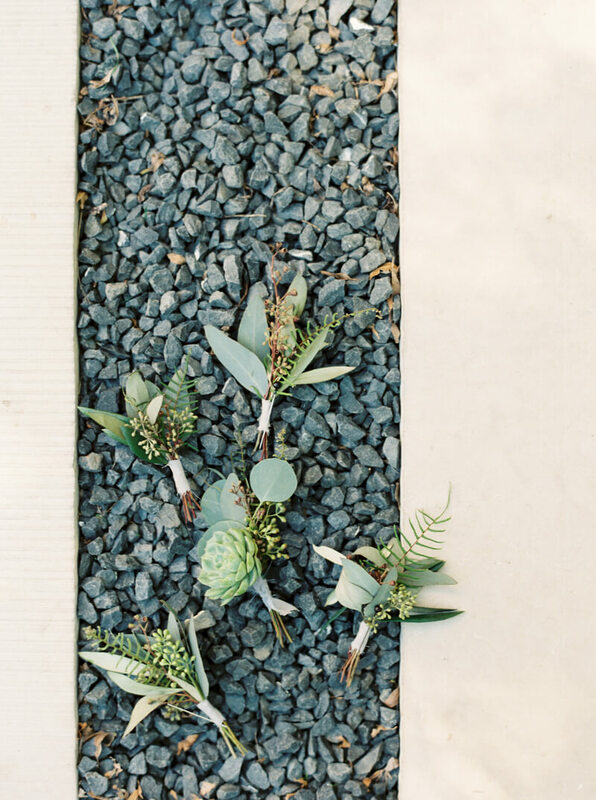 The couple incorporated ample greenery and succulents into the overall look of their wedding, including the boutonnieres. 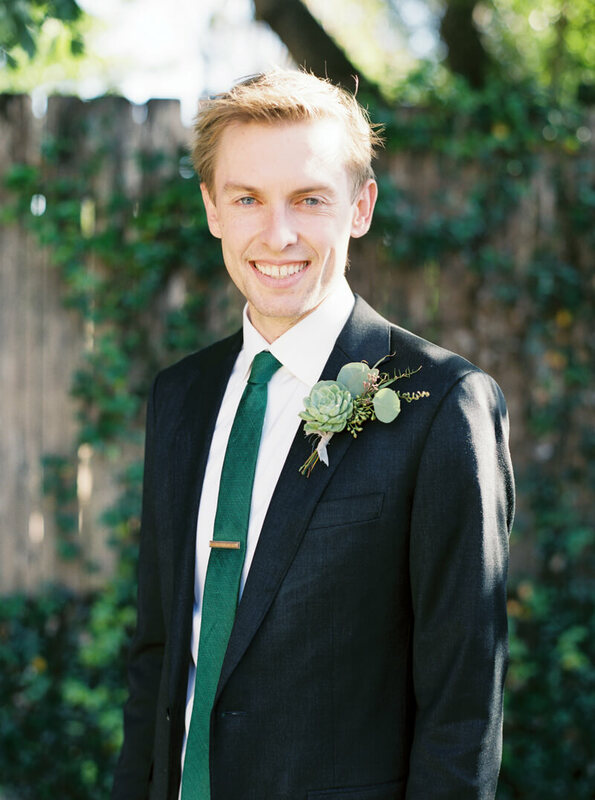 Parker looked handsome in the wedding’s signature green color, paired with his traditional black suit. The bride and groom opted for a first look moment before the ceremony in the venue’s private courtyard. They were joined by their bridal party, as well. 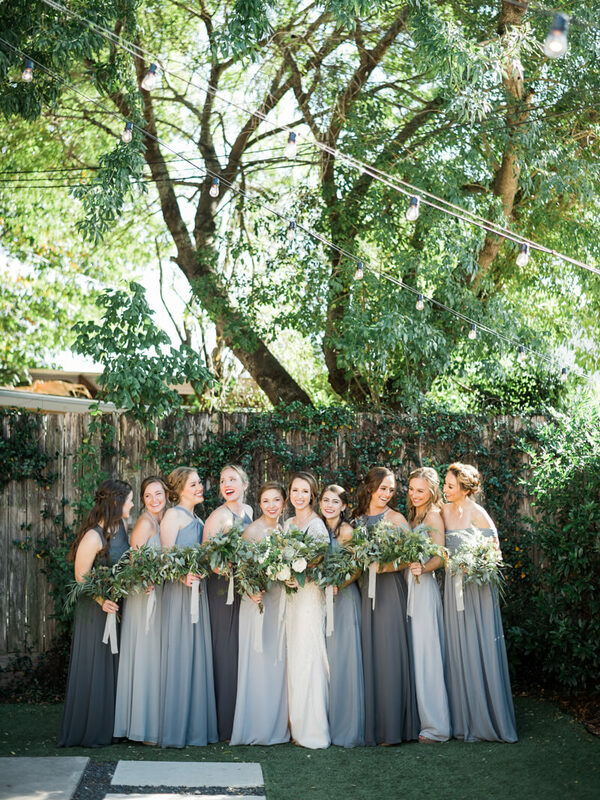 Ellen’s bridesmaids stunned in long gray dresses of varying hues, while Parker’s groomsmen all looked sharp in gray suits. Inside, the ceremony was a vision bathed in light. 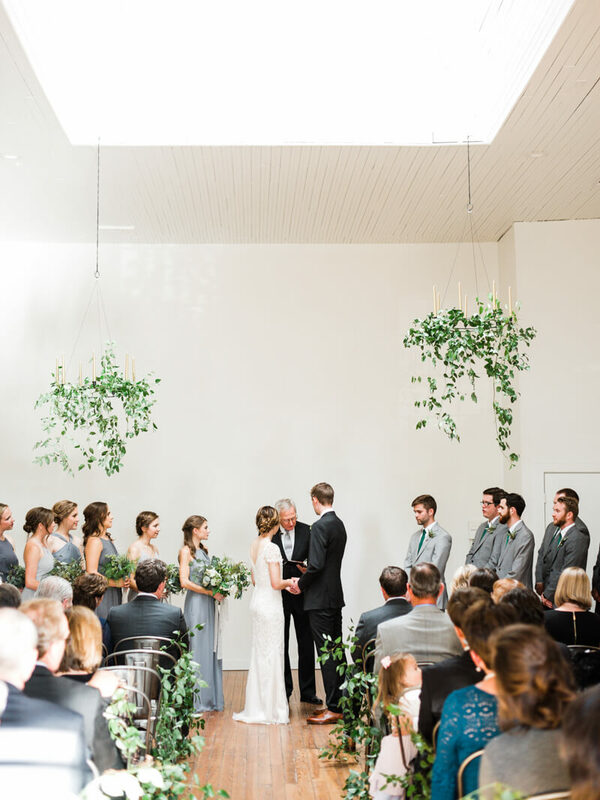 The two married under the venue's recent expansion complete with a skylight, framed by chandeliers drenched in greenery, and surrounded by their friends and family in a very cozy setting. 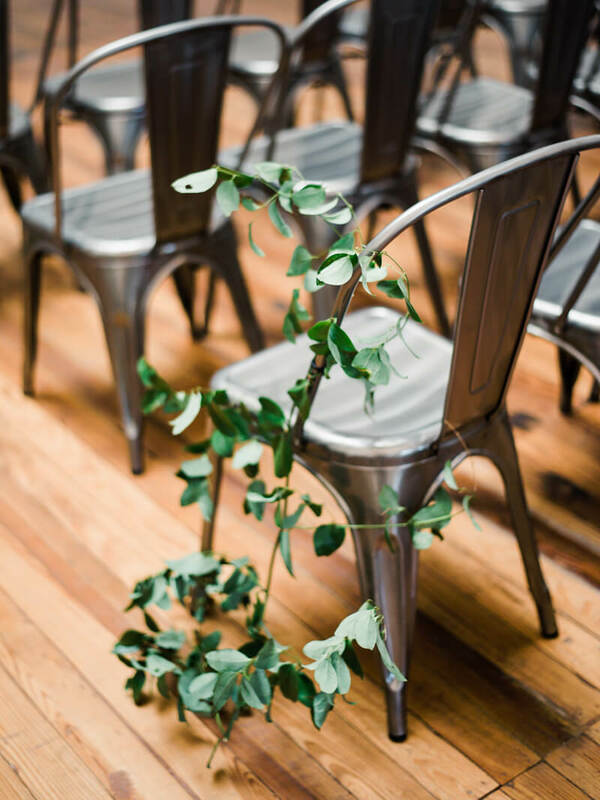 The modern chairs along the aisle featuring crawling greenery, as if the scene had been set for years. 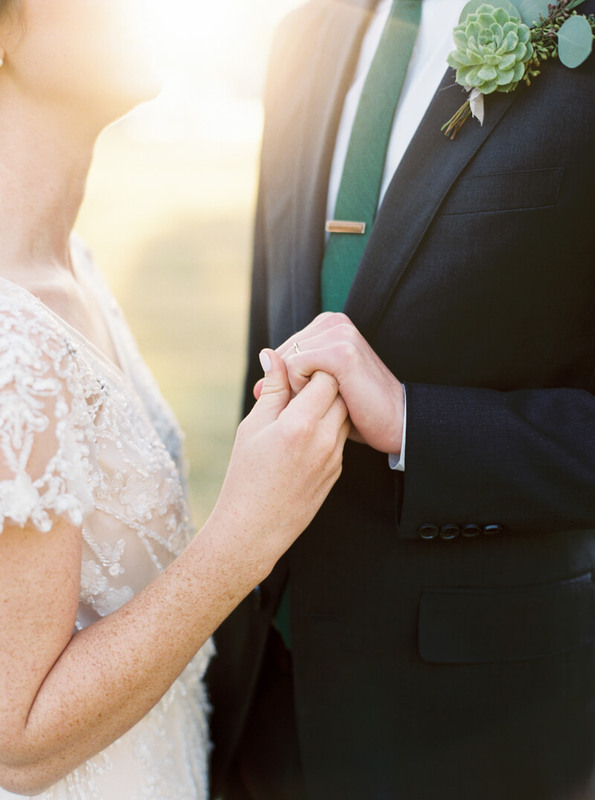 After the ceremony, Ellen and Parker were whisked away to a nearby park for their first photos as husband and wife. 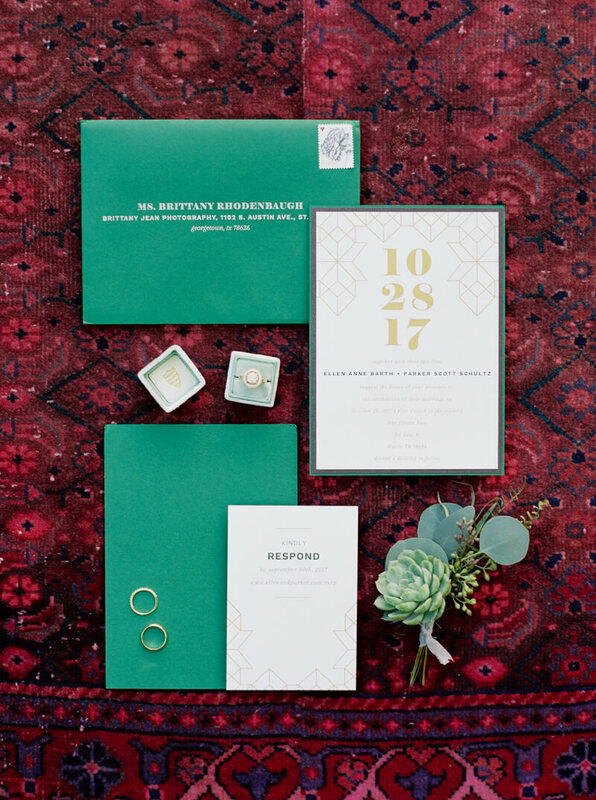 Their guests enjoyed cocktail hour at a nearby brewery as they awaited the new couple. 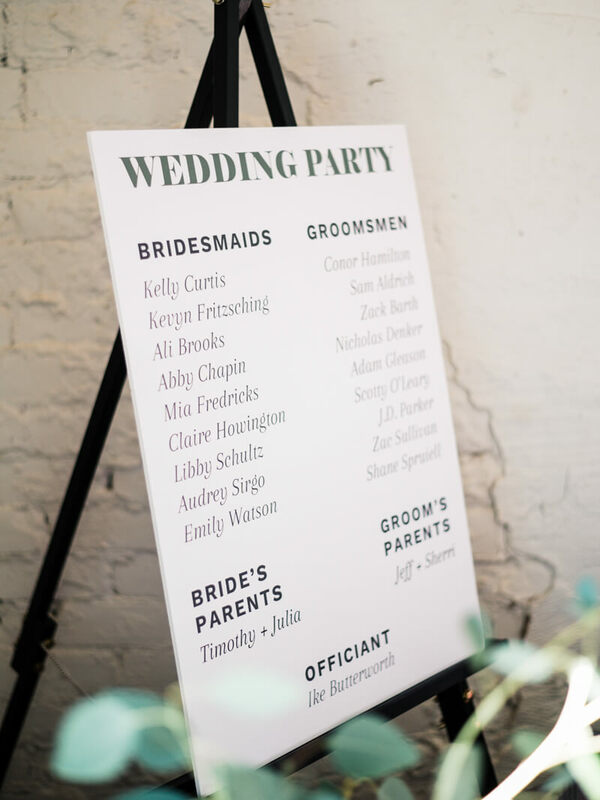 The reception exhibited the same sleek, modern aesthetic as Ellen and Parker's ceremony. Long gray tables were dressed with greenery and contemporary china, and paired with the same industrial-inspired chairs from the ceremony. The banquet seating was set up in a chevron design, allowing guests to mix and mingle in this dynamic layout. Ellen and Parker also wanted to give their guests the full Austin experience and served them from two Austin-based food trucks for appetizers and dinner. After dinner, the bride and groom moved on to the dessert portion of the evening, but it was not a traditional cake cutting. 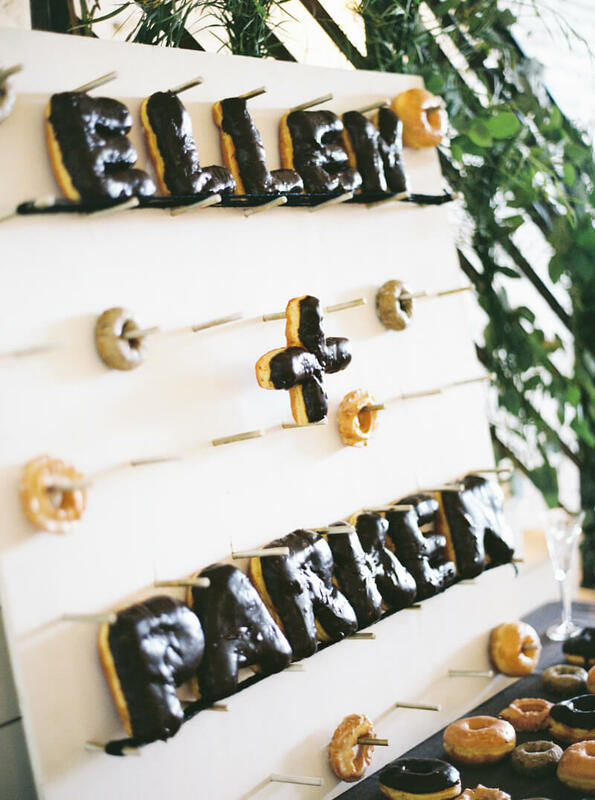 With a charming doughnut display featuring their names, the couple did a wishbone-style pull apart of a doughnut instead. How cute! The rest of the evening was filled with toasts, dances, a wardrobe change by the bride, and a late-night snack from Whataburger. And as they sat in their getaway car ready to say goodbye to their beautiful day, they shared one more sweet kiss for the ride. 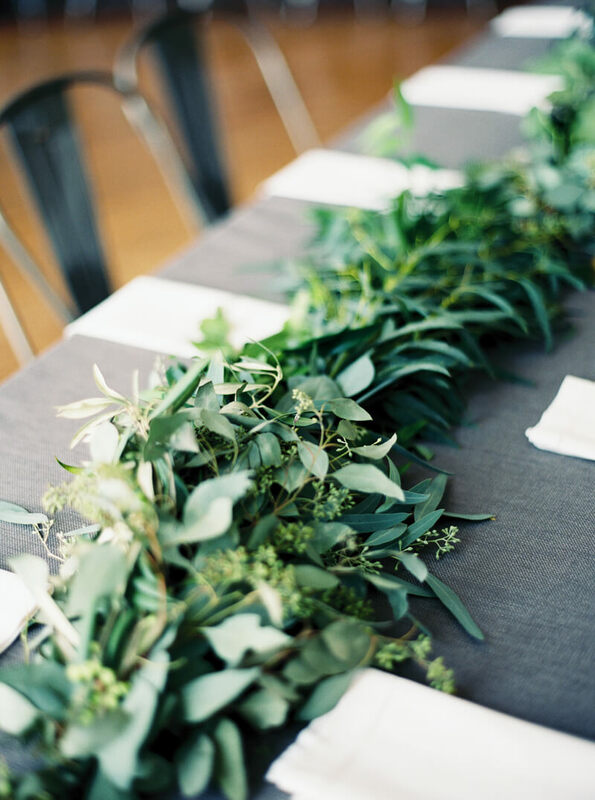 Ellen and Parker wanted to stay true to their personalities and styles for their special day and they did just that thanks to the perfect venue and quirky touches. Their dearest friends and family got to witness a loving couple embrace a new chapter and celebrate with an evening only true Texans could appreciate.